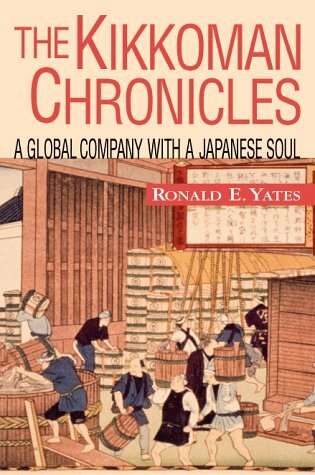 Back in 1980 when I was a Chicago Tribune national and foreign correspondent based in Los Angeles I interviewed the Rev. 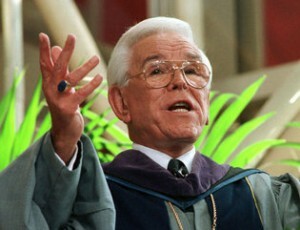 Robert H. Schuller, who passed away at 87 this past week. In this post I am sharing that Sunday Tribune Magazine story with you. 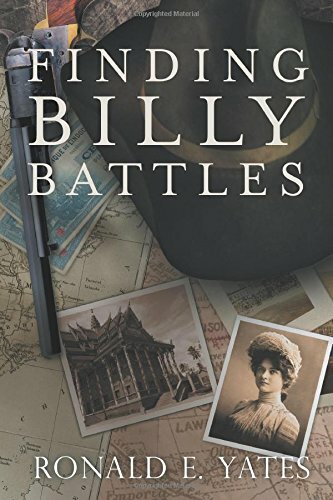 To read it, click on the link below this introduction. 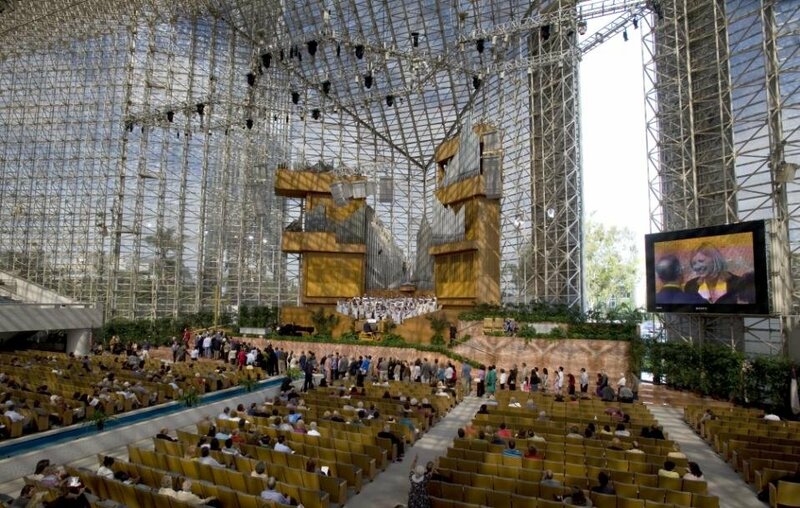 It was just after he had opened his amazing Crystal Cathedral, the glass church that spans an area larger than two football fields in Garden Grove, Ca., that the Rev. Schuller and I sat down to talk about his church, his faith, his humble beginnings and how he created a television ministry (The Hour of Power) that was once seen on more than 150 TV stations in the U.S. and Canada. After Rev. 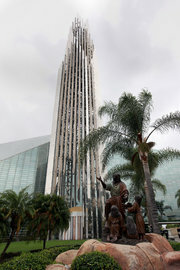 Schuller stepped down as leader of Crystal Cathedral Ministries in 2006, the empire he built began to falter. 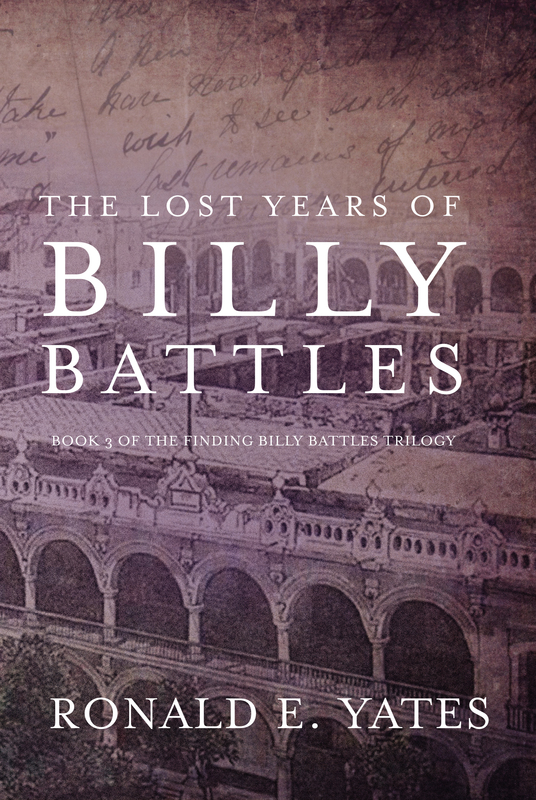 The television ministry he created lost viewers because of an aging audience and the religious broadcasting industry itself began to change. 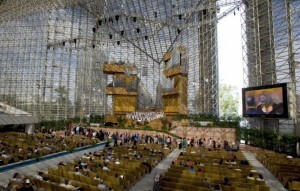 By 2010 the ministry filed for bankruptcy and in 2012 the Crystal Cathedral itself was sold to the Catholic Diocese of Orange County, California. But in 1980 the Rev. Schuller and his ministry were riding an unprecedented wave of success. Please read on by clicking on the link below.